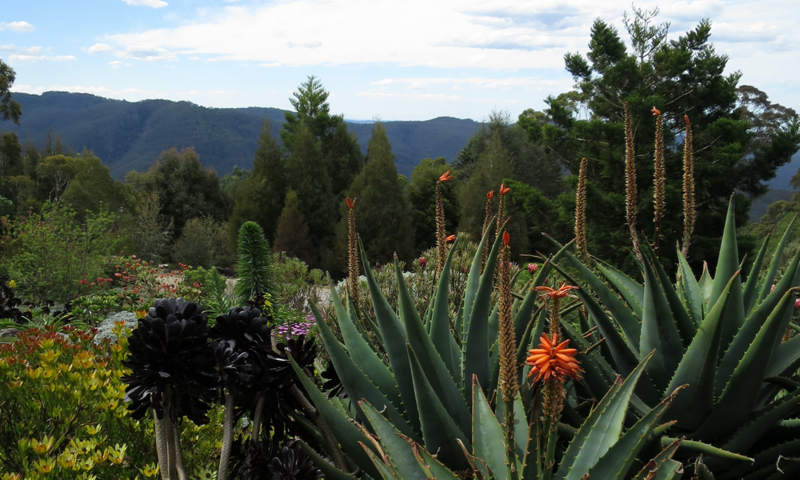 Situated in the world-heritage listed Greater Blue Mountains, the garden is situated 1000 metres above sea level and showcases many beautiful native and exotic plants not suited to Sydney's climate. Annual Rainfall avg: 1340mm. Summer avg. 477mm. No. of rainy days: 55 Winter avg. 197mm. Misty sunrise looking down into the valley. 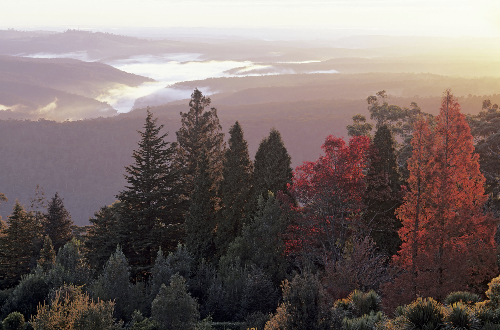 When visiting NSW this is a place not to miss. For locals visit, and visit often as it is wonderful.